WOULD YOU LIKE TO WORK IN A DISTINCTLY DIFFERENT CARE HOME? As a Care Enabler you will support people to live individual, fulfilling lives by promoting choice, independence and dignity. We provide full training so even if you are new to adult social care and would like to make a difference to people’s lives, we would welcome your application. Working hours are based on a rota system, and will include evenings and alternate weekends. Sleep-in shifts are also offered but are not compulsory. Basic annual income from £17,784.00 (after induction) to £18,928, depending on qualifications. 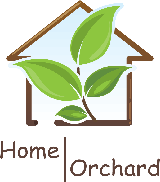 Home Orchard offers a rewarding career with benefits to include a permanent contract, a comprehensive induction to care, excellent training and development opportunities, competitive rates of pay and 24 hour support for all employees. Holiday is equivalent to 5.6 weeks per annum. Please click the link below to download the Job Description and Person Specification. We do not have any job vacancies at present. We welcome applications to join our Bank Staff Team.